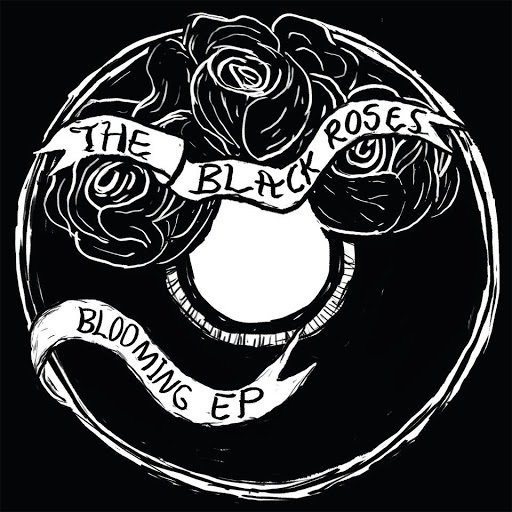 Song of the day: The Black Roses – "Summer Melody"
I was recently contacted by a band of young’uns from Illinois called The Black Roses (Hi, whippersnappers!) who asked me to have a listen to a three-track EP they’d recorded. I duly listened, but must confess that I didn’t like much what I heard. There was one song I didn’t mind (“Summer Melody”), but that was mainly because it contained a 1950s chord progression I’ve always enjoyed (C major, A minor, F major, G major). photo done by our photographer, Edwin Taylor the third! Did someone in the band get married? Did the entire band get married (to each other)? 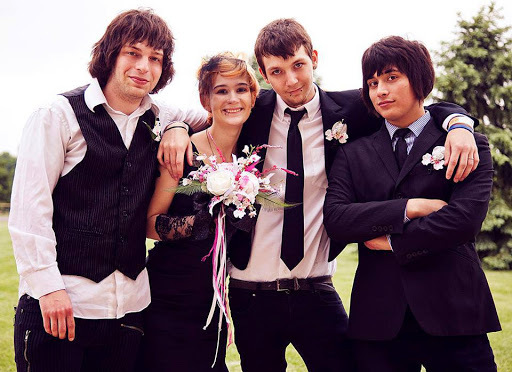 If someone in the band did get married, were The Black Roses the wedding band at their own wedding? Does Edwin Taylor (the third), in his official capacity as band photographer, follow the band around everywhere? Or just when they’re playing – or getting married? Who is Edwin Taylor (the third)? Is there a fourth or even fifth Edwin Taylor? Just how many Edwin Taylors are there? You are currently browsing the archives for the Black Roses category.